The Eyeslicer is a 60 minute scripted television series, which kicked off on November 8, 2017, on Eyeslicer.com and is broadcast every Wednesday at . The show is currently in its 1st season. Eyeslicer.com is yet to announce the renewal of The Eyeslicer for Season 2 as well as its cancelation. Sign up to track down the show's status and its release date. 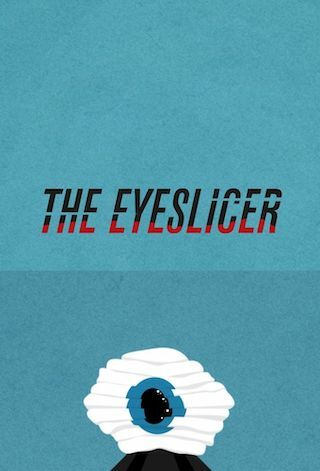 The Eyeslicer is a mind-melting new variety TV show designed to slice, dice then mince your eyeballs into a delicious ceviche. Each episode of the show's ten hour first season is a handcrafted mixtape that blends boundary-pushing short-form work into a weird, wild, uninterrupted whole. From vérité documentary to amateur computer animation; surreal horror to remix video art; haunted high school yearbooks to Sasquatch birth rituals; time traveling cats to live web streams of your own birth -- if it sounds too strange for Netflix, chances are you'll see it on The Eyeslicer.